Today, choosing to go to law school is often a $200,000-plus decision. Thus, it comes as no surprise that when talking about law school, usually the first question I get from potential law school applicants is, Should I go to law school? This is a question that every aspiring law applicant should ask themselves. There is no decision-tree or all-encompassing diagram that will be able to answer this question for everyone. But, whenever I get this question, I always respond with a question of my own: Why do you want to go to law school? To me, this is the most important question that every potential law applicant needs to answer. Before spending months studying for the LSAT, and then a couple more on writing essays and preparing applications, it's important that potential law students take a step back and ask themselves: What is my motivation for going to law school? As I have explored this question with the many potential applicants that have come my way, I've noticed that most answers usually follow one of the following patterns. Even if your parents are planning on financing your law school education, dedicating three years of your life (and $200,000+ of somebody else's money) to law school because somebody else wants you to is not setting yourself up for a successful law school experience. Law school is hard. It is incredibly demanding on your time, your energy, your focus, and your bank account. All those late nights at the library and the countless hours of reading and highlighting (and rereading and re-highlighting) cases are going to be that much more taxing and difficult to maintain if you lack personal motivation. If you're going to invest that much of yourself into something, it better be for you. Wanting to make a difference is a great thing. I'm glad that's important to you. But, unfortunately, that kind of response doesn't really tell me why law school. There are numerous ways in which you can make a positive impact on the world. Why law school? What is it about going to law school that's going to put you on the path you want to be to making a difference? I'm not saying that going to law school won't put you on that type of path. It certainly can, and it has for many. I just want to know more about how you came to decide that going to law school is the path you want to take for making an impact on this world. It may be that you've thought about this a lot (and I hope you have). If so, tell me more. This is a hard answer to respond to for me, mostly because I feel strongly that people should not make important life decisions with money as their guiding force. However, if this is truly your motivation, my comments from the previous paragraph still apply: Why law school? I once had a federal judge--someone who both professionally and financially reached what many others in the legal sphere would consider the pinnacle of success--tell me, "If you want to make lots of money, don't go into law. Go into business." In other words, as he explained, if money is what drives you, there are probably better career options. Much of this has to do with the fact that, as reported on by The Wall Street Journal last fall, law students who borrow money to pay for their education end up graduating with over $140,000 in debt. Do you know how long it takes to pay off that kind of debt? If you go to a top law school, there's a better-than-not probability that you can get a job out of law school that will pay enough ($130k to $180k) so that you can discharge that kind of debt within ten years. However, even some of these students, as well as huge numbers of students from schools where employment rates are lower, will not end up in jobs with high salaries. Instead, they'll end up with jobs that pay much lower ($40k to $70k). The very real prospect of paying off $140,000 or more in debt when you're making less than half of that should give pause to anyone considering law school. Wait a minute. You're telling me that you want to go all-in on a $200,000+ education because you don't know what else to do? Eating potato chips late at night because you're bored and having nothing else to do is one thing; going to law school is another. If you don't know what else to do right now in your life, don't go to law school--at least not right now. Law school isn't going anywhere. It will be there again next year, as well as the year after that. Go to law school when you're ready, not when you're bored. This answer is a really good start--it shows me you're on the right path in terms of your thinking. But, you're still not off the hook. Why do you think you want to be a lawyer? What is this based on? Who have you talked to? It's important for aspiring law students and lawyers to do their research. This doesn't mean talking to your 60-year-old neighbor who began his or her legal career back in the 1970s. The legal industry today looks very different than it did back then. Instead, this means talking to young, practicing attorneys who were in your shoes within the last ten to fifteen years. As you talk to more and more attorneys who are in the beginning and middle of their careers, you can put together a collection of data points that will help you paint a picture of what life as an attorney may look like. For example, you'll discover that most attorneys do quite a bit of reading and even more writing. Therefore, if you don't like either of these things, it's probably not a great idea to spend three years and hundreds of thousands of dollars improving your reading and writing skills. So . . . should I go to law school then? In the end, I don't know whether you should go to law school. If you are thinking about it, make sure your decision is the result of a well-thought-out, reasoned process. As you begin that process, take a step back, and ask yourself: What is my motivation for going to law school? I don't expect you to have a perfectly-articulated or flawless answer, but as you take the time to put together an answer, you'll be in a better position to figure out whether law school may be right for you. If you've decided that you do want to go to law school, then be sure to check out our article here on what it takes to get into a top law school today. 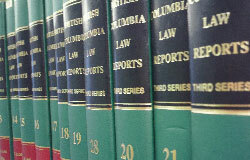 For more strategies on the admissions process (college, law school, and more), visit www.synocate.com.